One of the last areas to see the benefits of virtualization has been the radio access network (RAN). One start-up aiming to change this is Dali Wireless, which has launched a Software Defined Networking (SDN) Radio Router that transforms the fronthaul network from a hard wired point-to-point network into a multipoint-to-multipoint network. The company’s virtual Fronthaul Interface (vFI) enables virtualization of the RAN. Dali Wireless holds over 400 global patents and has offices in Menlo Park, California and Burnaby, British Columbia. I recently caught up with Dr. Albert Lee, Founder and CEO of Dali Wireless. He previously co-founded OnChip Technologies, a MEMS-microfluidics startup for proteomics, and a number of information technology startups where he held various board and management positions. Jim Carroll: How is 5G leading to a fundamental shift in front haul architecture? Albert Lee: If you ask different people about 5G, you'll get different answers. If we step back and take a look at 5G, there are two areas to consider. First, the air interface, which in practical terms is the 5G-NR radio. The second 5G is all about the network architecture -- the way the whole network is constructed, which differs substantially from 4G in that it is no longer just a telecom network because cloud data center thinking has been introduced. Basically, we end up with a hybrid telecom + data center network. Some of the 5G concepts are really coming from the IT world rather than 3GPP. Will virtualization of the fronthaul improve the business case for 5G? Albert Lee: If we look at the past, in 2G, 3G, even 4G, there is a one to one correlation between a radio resource from the base station to the antenna. 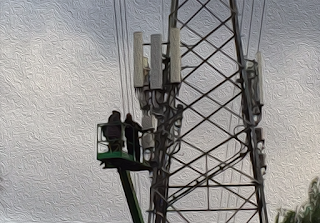 Let’s say an operator has unlimited amounts of money, they will never be able to buy enough base stations to provide the kind of capacities for the best possible network. The only way to get to the optimal network is to follow the path of virtualization from the computing world. That is to say, we must virtualize the underlying resources. So, would you say that that virtualization of the fronthaul is primarily about scalability? Albert Lee: Scalability plays a big role, but so does interoperability. Again, if you look at the computing world, virtualization has also meant that you can go buy an AMD processor or and Intel processor, and you can put into an HP computer, or one from Dell or Lenovo. It doesn’t matter, right? The idea is to open up the network for vendor agnostic, equipment agnostic, and even application agnostic implementations. Tell me about Dali Wireless. How and when did you get started and what was the problem you were trying to solve? Albert Lee: Dali was founded in 2006 with deep expertise in RF. We also developed proprietary software technology for manipulating waveforms. Since starting the company 12 years ago, we’ve accumulated about 400 patents and really built our strength in software configurable platforms. One of our main objectives is to virtualize the radio access network and, more specifically, to virtualized the fronthaul. We see multiple opportunities in these areas. So, Dali got started by looking at ways to optimize waveforms and improve spectral efficiency - is that fair to say? Albert Lee: Yes, when we started there were two big issues. The first one was in the transmission because, at that time, technology was quite limited in terms of both semiconductors as well as the network architectures. Pushing out radio waves efficiently was just a major challenge. That's why you saw really huge base stations that were wasting a lot of energy and not really producing a lot of capacity. The second area of inefficiency was the backhaul. To address these issues, we recognized that we would have to develop expertise in multiple areas: RF, because we're dealing with radio wave forms; software capabilities, including digital signal processing (DSPs); and networking. There has to be interplay between all of these areas for the system to be optimized. What is Dali’s current mission statement? Albert Lee: Our mission is virtualize the RAN and promote the open RAN for enabling 5G. Does Dali operate as an IP licensing company or are you building complete solutions? Albert Lee: We are predominantly a solution provider, however, as we become more of a software company, there is a bigger component in IP licensing. In terms of fronthaul, are you talking about breaking up the vendor relations between the antennas and base stations? Albert Lee: Exactly - yes. This is a concept from Open RAN, or xRAN, or even TIP (the Telecom Infra Project led by Facebook). Dali fully supports these initiatives. What we are specifically addressing is the fronthaul, which basically begins right in front of the base station and ends at the antenna, which may be a remote radio head. If you look at existing solutions, most of them are one-to-one, meaning that you have a base station, you plug in the antenna. If you want to add more capacity, then you have to add more baseband. Or if you want to change location, then you need to put a new remote radio head into different areas. And all of these are locked-in. An Ericsson base station can only work with an Ericsson-approve remote radio head. The other vendors are the same. Dali cuts the cord for all these links. We aggregate all of the computing resources for the baseband, so that the capacity becomes just like cloud computing in a data center. The radiating units can be mixed and matched, meaning that any of the signals from the baseband can address any of the radiating units, and in that way, the fronthaul is transformed from a one-to-one relationship into a many-to-many relationship. That is true virtualization. What are the enabling technologies that makes this virtualization possible? Is it better scheduling algorithms or better silicon? Albert Lee: It is actually simpler than that. Dali is agnostic to the underlying silicon. Our design is simple, but revolutionary. First of all, we are agnostic to any waveform or any signal. The second differentiator is our ability to process the waveforms, whether in the baseband or in the RF. Our ability to process waveforms in software is a core competency, along with enabing interoperability. Then three tasks need to be done. First, to aggregate the signals, in whatever form, from all the sources, whether from a single vendor’s equipment or from equipment from multiple vendors. The second task is to translate these signals into a common language. The third task is to route the signals, like a router to specific pinpoint locations. It is this aggregation, translation, and routing that that achieves the virtualization the front haul. Let's talk a little bit about the market opportunity here. First of all, this sounds like a hard problem to solve, and one of the big promises of 5G is there will be very little latency in the connection. Wouldn’t this aggregating/translating/routing in the fronthaul only add to the latency? Also, in terms of rollouts, some of the big carriers are ready to go with their first 5G market deployments? How does this fronthaul development fit into their planning? Albert Lee: A lot of questions there, so let’s discuss. The advantages of 5G include higher throughput and lower latency, right? But at the end of the day, it is really about the applications. It’s about how 5G enables new applications. As we’ve discussed, virtualization is a powerful concept, and over time you will see lots of baseband processing resources being aggregated back into data centers. Until now, these resources have been in base stations deployed at a venue or at a tower. Backhaul capacity is supplied to each site. But in this new model, the backhaul starts to be replaced by fronthaul, which is technically more challenging. The backhaul usually is just IP packets. The fronthaul is basically radio waveforms. How do you translate all those to the radio point? We know how to do that. It is a very big opportunity for us. Once we are able to leverage virtualization, we can supply vast radio resources at a fraction of the cost. This is going to open up lots of applications. This sounds like network slicing. Many vendors talk about network slicing in the EPC to enable new applications, especially for enterprises. Albert Lee: Dali does not deal with the EPC. Dali basically virtualizes the radio access network starting from the base station. Dali does not do the baseband, but because of ability to go end-to-end, this empowers baseband vendors to come into play here. So, how could an enterprise or application, such as an autonomous vehicle fleet, benefit for having this type of slice of the radio access network? Albert Lee: We have customers like the Dallas Fort Worth Airport (DFW), or Children’s Hospital in New Orleans. Traditionally, these types of customers have not gotten the love they deserve from operators. The operators have their own agendas to build networks that suit their own needs. The in-building 2G/3G/4G signals problem has gotten worse over time, making it difficult for these customers to adapt to occupants of their buildings. We bring more flexibility. For example, they can actually manage their own base stations without having to become RF networks. Designing the network for better security is another big concern. 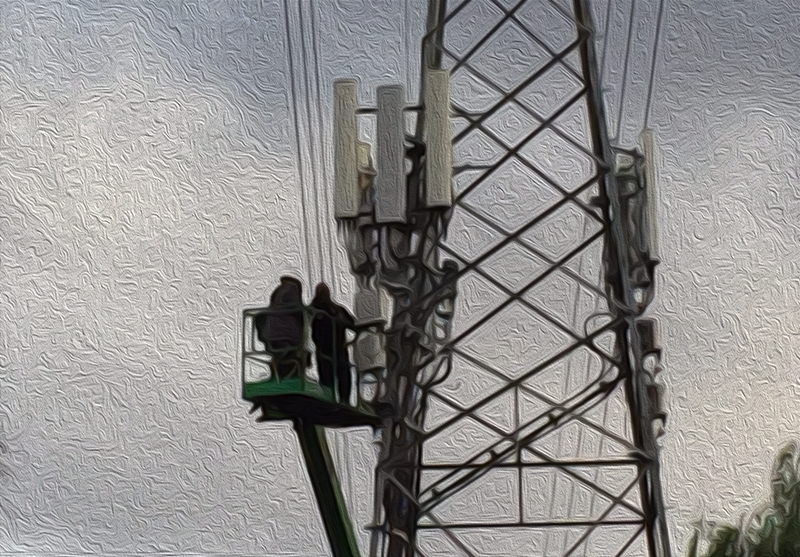 Does this virtualized fronthaul work with massive MIMO? Albert Lee: Yes, it does. Even with massive MIMO, the RAN’s function is to transmit waveforms, whether using a single channel or 64x64 or 128x128 arrays. We provide the pipe to enable all of that. Tell me about open RAN. Where do you see that headed? Albert Lee: Dali is one of the pioneers in Open RAN. In addition to virtualization, we see interoperability as critical when you want to mix and match equipment from multiple vendors. Sometimes I think of Dali as a sort of hypervisor in getting multi-vendor deployments to interoperate. After all, in the computing world, it was the hypervisor that enabled virtualization to take off. Many of our patents are in this area. Will this area be standardized within 3GPP? Albert Lee: Possibly. 3GPP is continuously evolving. Where do you see the biggest opportunity for Open vRAN? Albert Lee: I see virtualized radio access networks becoming ubiquitous, just as how virtualization came to dominate the computing world. The telecom sector is just catching up. When we talk of fronthaul connectivity, is it an all-optical future or is there a role for copper? Albert Lee: That’s a very good question. From my perspective, the underlying medium doesn't matter. We are agnostic to the underlying technology. To answer your question, the waveforms could be carried in the fronthaul over fiber, over microwave, or over copper. Obviously, each of these has different performance and cost characteristics, which the network architect will have to consider. And which will prevail for 5G? Albert Lee: It depends on the market. In many countries, sites are already equipped with fiber. If fiber is used, will the fronthaul distance become longer? Why not extend it all the way to regional or metro data center? Albert Lee: Yes, with fiber that is a possibility. But there will be other use cases. For instance, a skyscraper office tower may use fiber runs from the basement or IT closet to consolidate the baseband for multiple tenants and mobile operators. Regarding fronthaul, do you see market resistance from the incumbents? Albert Lee: Well, the big incumbent vendors have a vested interest to oppose open vRANs. Yes, they will claim to support the initiatives and to offer an open vRAN solution, but remember that definitions of open can vary. It will definitely impact their sales, so there will be some resistance. But at the end of the day, companies that do not embrace change are often swallowed by it. As the hyperscale cloud companies start to build new data center in metro regions, does 5G fronthaul become a business opportunity for them? Albert Lee: Definitely. The hyperscalers need to think out of the box about how their compute resources could transform the fronthaul. It will take a lot of vision and guts for them to enter this market, but that is what defines a great entrepreneur.